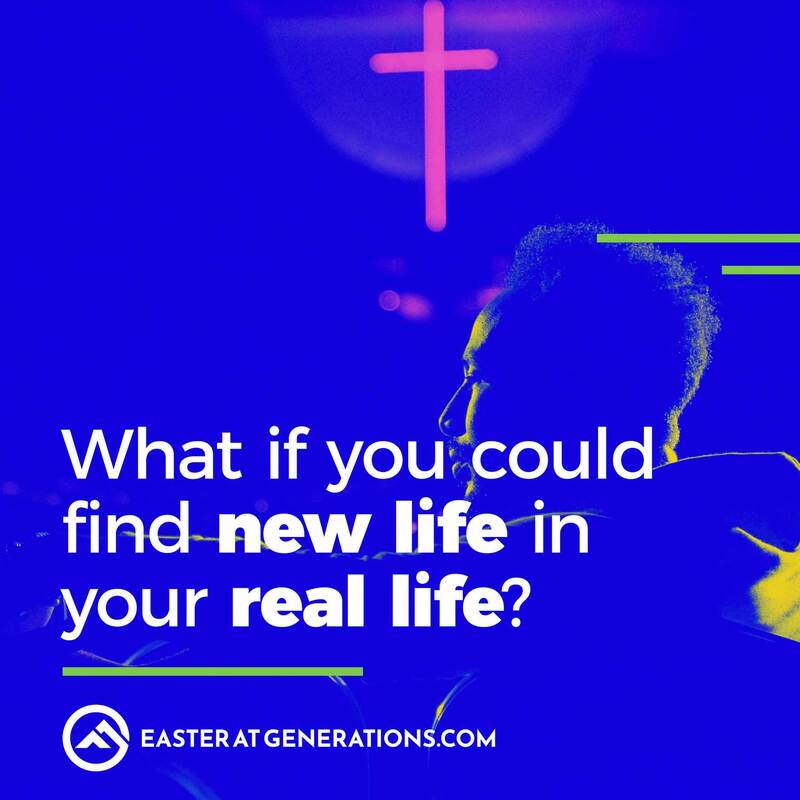 At Easter, we go all out celebrating Jesus’ victory over death and the new life we can find in His love. 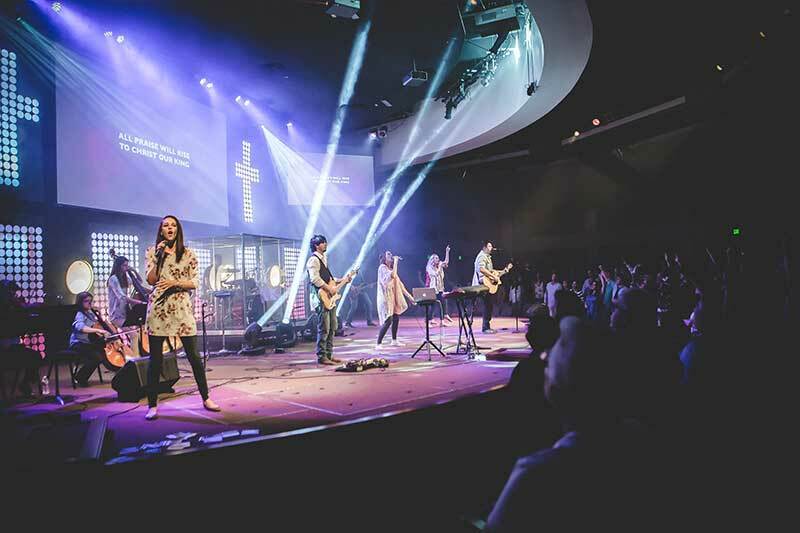 It’s the perfect day to gather with friends and family and experience church in a fun and meaningful way. Would you consider joining us? 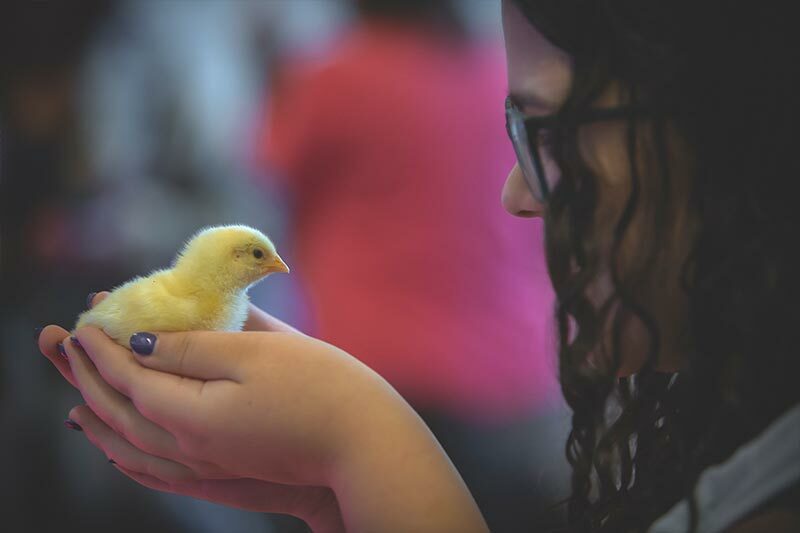 We’d love to meet you. We can’t wait for the party! 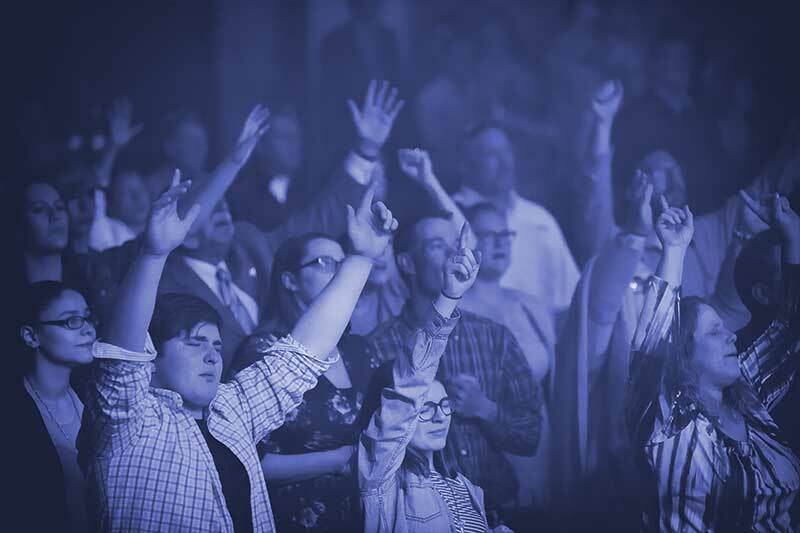 Join us for engaging music with a simple and hope-filled message that will energize and impact our lives. 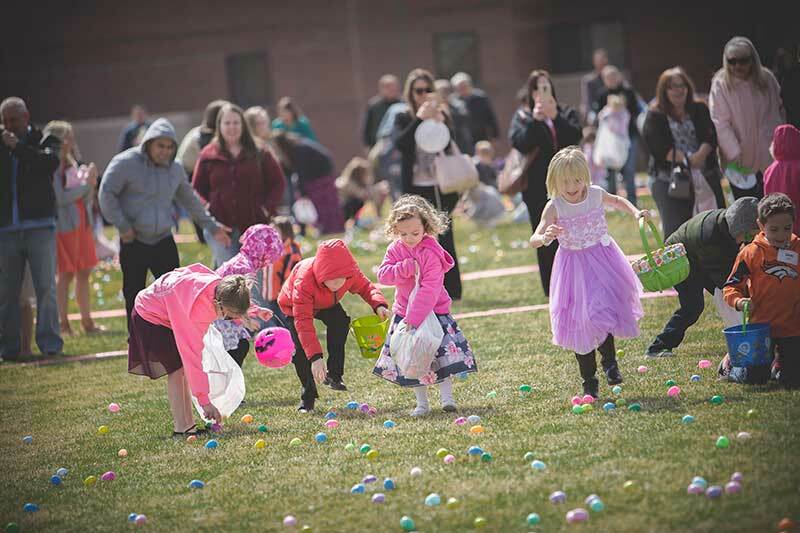 Before and afterwards – enjoy a donut wall, egg hunts, baby chicks and free professional family photos. 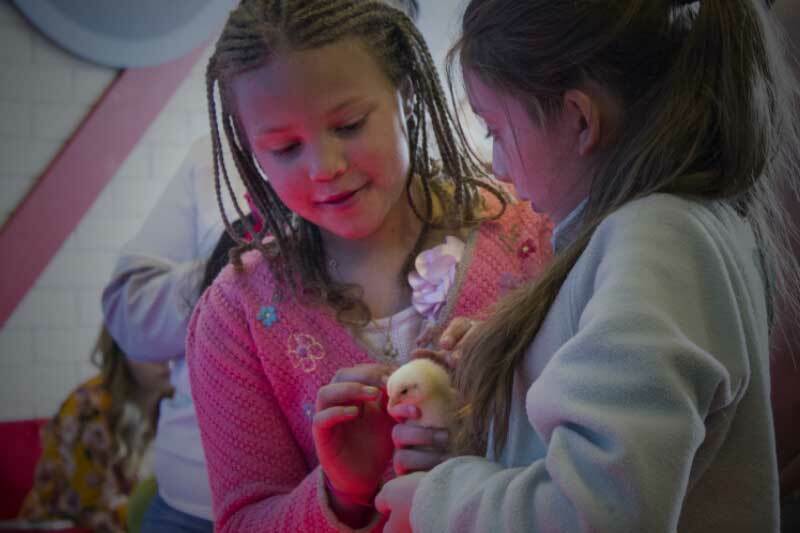 We’ll have gKids experiences for children birth-5th grade, and they’ll have an absolute blast learning about Easter! 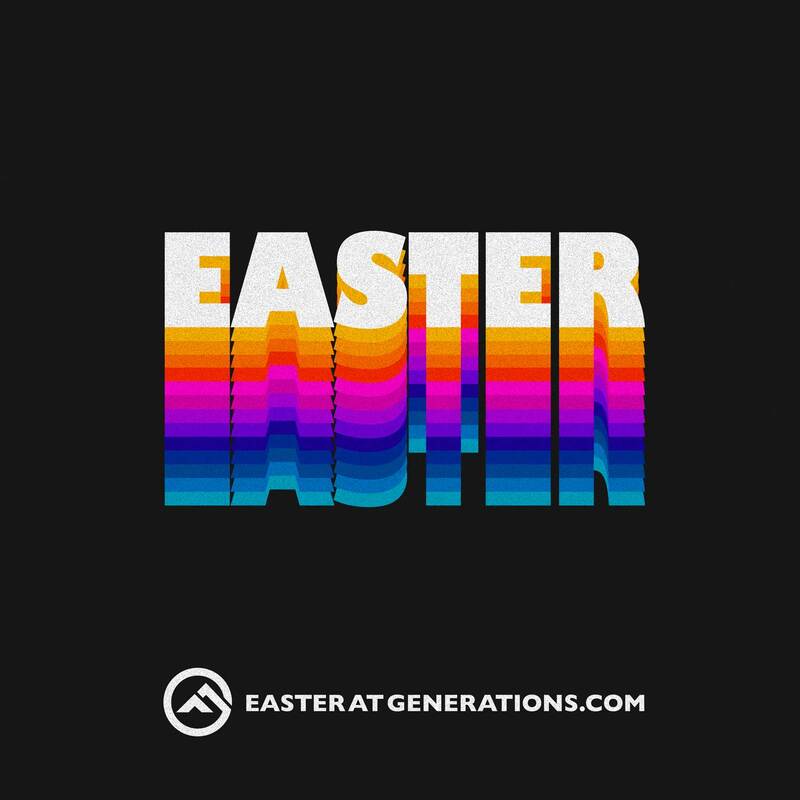 *7:30am Easter experience will lean a bit more traditional. 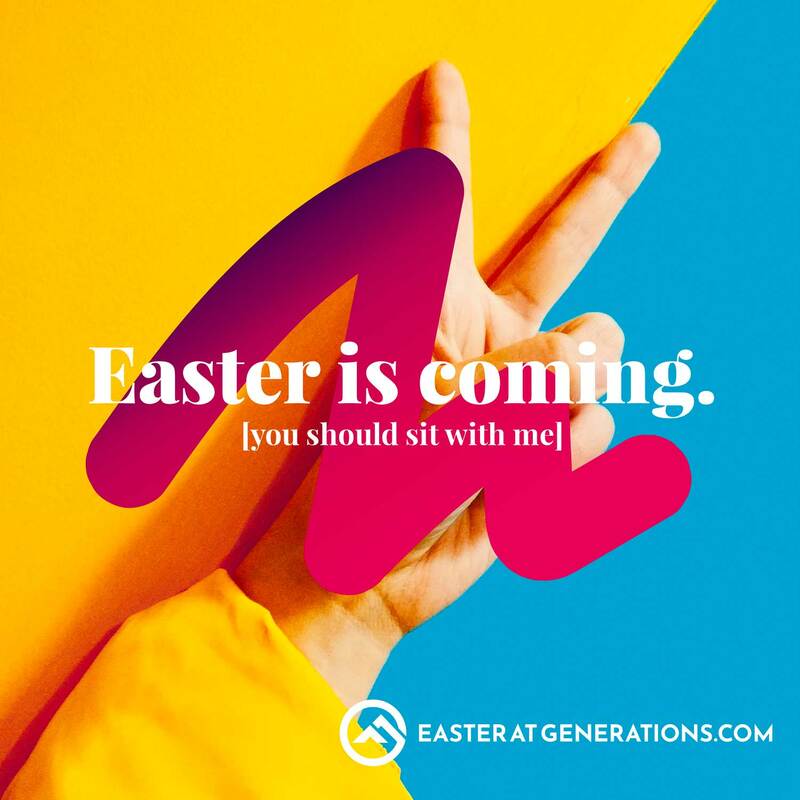 What does Easter at Generations look like? 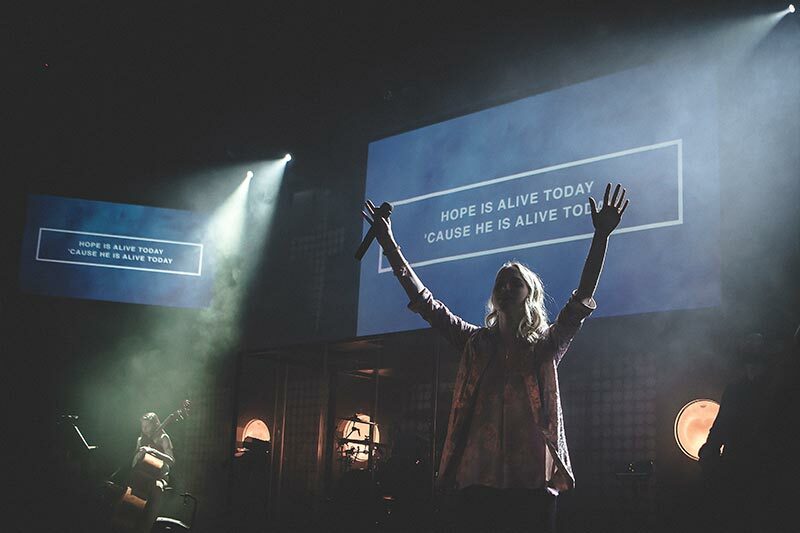 At Easter, we go all out celebrating Jesus’ victory over death and the new life we can find in His love. 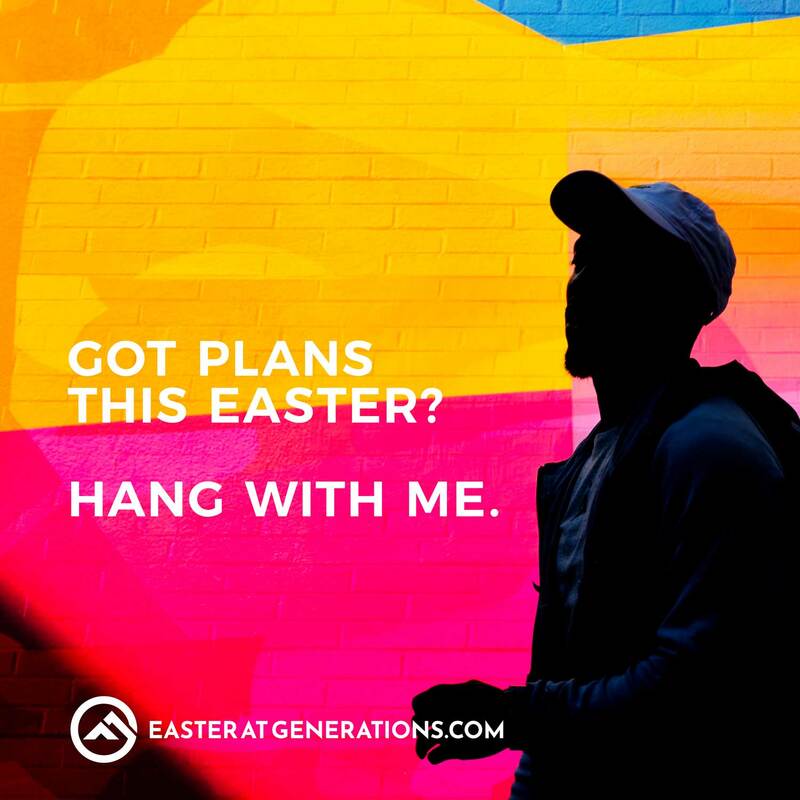 It’s the perfect day to gather with friends and family and experience church in a fun and meaningful way. 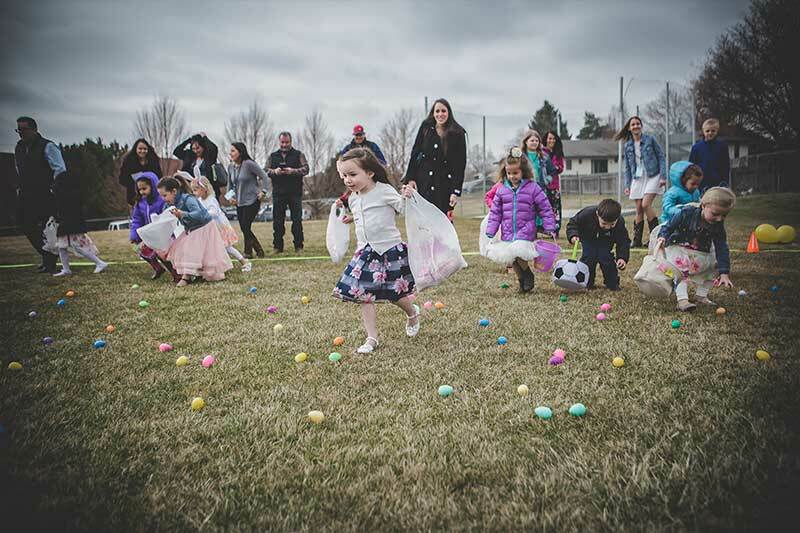 Join us Saturday night for a pre-Easter celebration including a pig roast and grilled pineapple, inflatables, egg hunts, and free professional family photos. 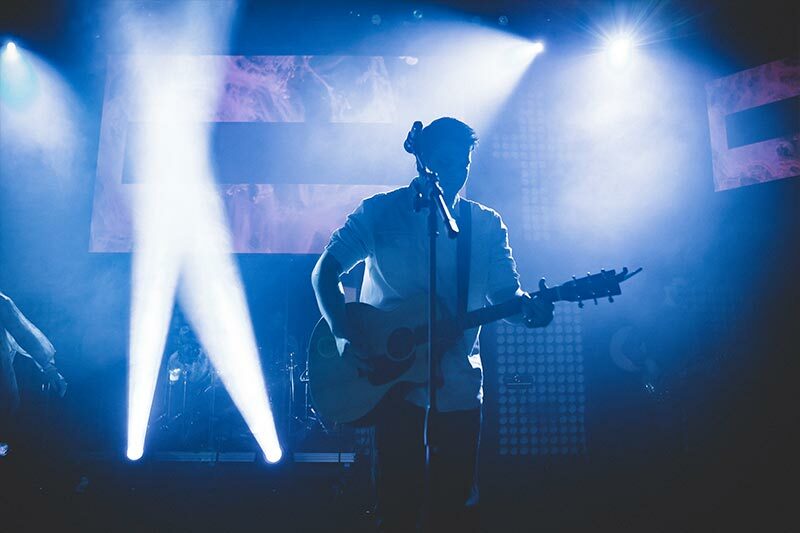 Stick around afterwards to enjoy engaging music and a hope-filled message that will energize and impact our lives. 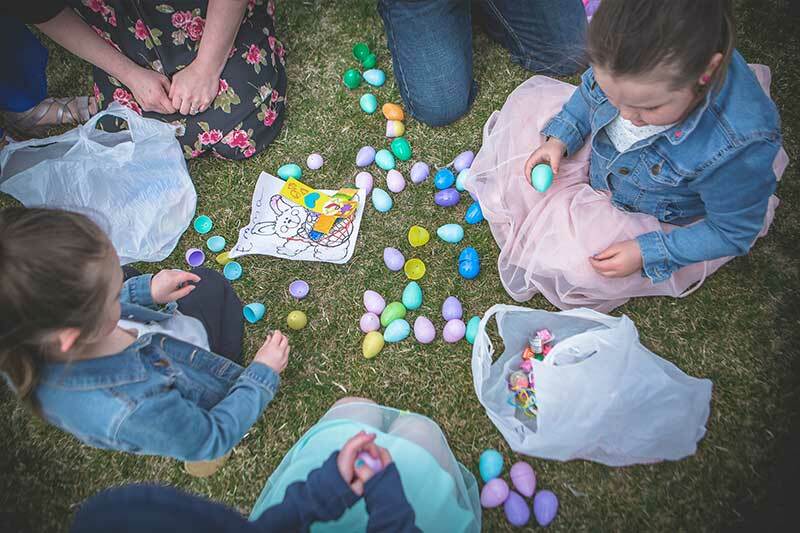 We’ll have a gKids experience for children birth-5th grade during service and they’ll have an absolute blast learning about Easter! Download and share these graphics on social media to invite your family and friends. Share these Facebook Events with your family and friends.